TOPS BBQ is about excellent service and great food. 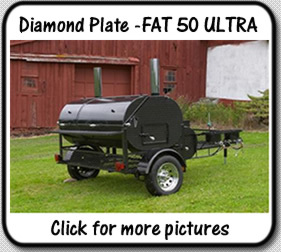 We’ll provide you with high quality barbecue your guests will talk about long after your event. TOPS BBQ serves chicken, ribs, pork shoulder, beef brisket, select seafood and vegetables too. We are known to put special side dishes together for your guests that have special diets. Contact us so we can discuss your next catering event. The TOPS BBQ competition team consists of friends and family recruited to help in the madness of competition barbecue. Boy, they never knew what hit them, but they love it now. 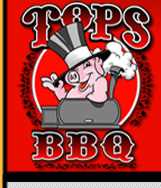 TOPS BBQ team originated from barbecuing at the Tops Tavern in Sanger, CA. The original TOPS BBQ crew was Brent, Greg, Dewey, Doreen, Emiko and myself (Robert). Four new teammates have been added since: Israel, Barbie, Eric and Phil. Unfortunately, we have temporarily stopped competing. As much as we love getting together with our BBQ brethren, family time takes precedence. Sous Chef Emiko has redirected her talents from the karate arena and is now competing competitively in Volleyball. So we’ll get out to a competition soon. But that will wait until we’re not busy catering or on the Volleyball competition circuit. There are people who can grill and some can actually barbeque some foods, but are they willing to pay to prove it? When you include entry fee, meat, materials and gas; the price tag to compete in a single event can exceed well over five hundred dollars. Barbecue teams don’t compete to make money. It’s all about making new friends, learning something new, competing with trophies in sight and of course bragging rights until the next competition.